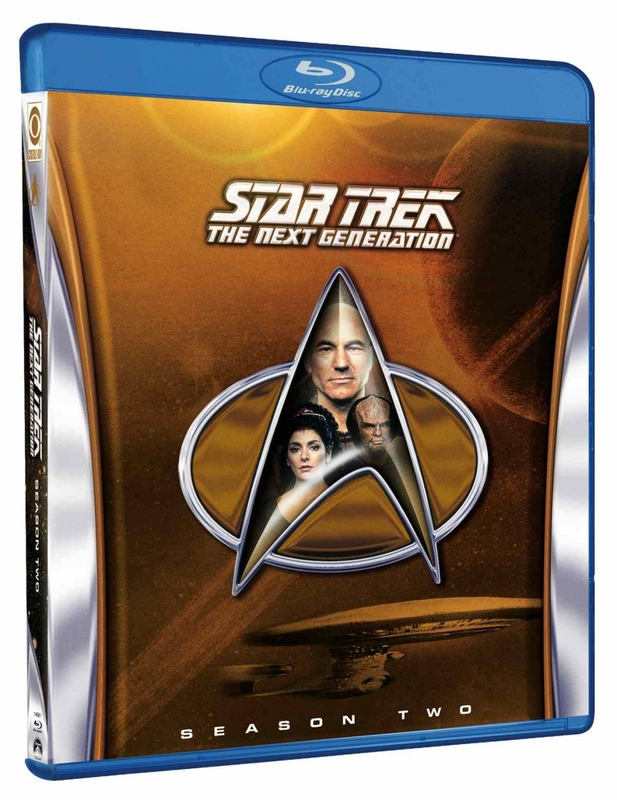 As most self-respecting nerds are aware, Star Trek: The Next Generation is being re-released in high-definition Blu-Ray discs, one season at a time. This show captured my imagination while growing up. I used to watch it with my father, as many young kids did. What I have always enjoyed about Star Trek are the philosophical undertones that came from Gene Roddenberry’s idealistic hopes for the future of humanity. 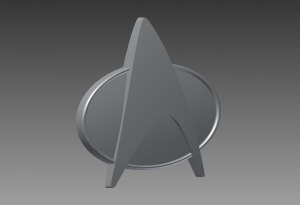 I started by drawing the basic profile of the TNG combadge in illustrator. I used screenshots from the show and pictures on Google to get the shape as accurate as possible. 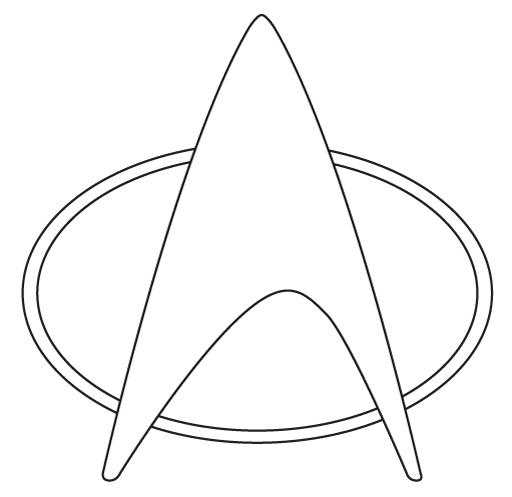 I then Imported the shape into Autocad Inventor and extruded and shaped the model to look how they appear I the show. Once I had the model finalized, I took an STL file and brought it into Carve 3D software and prepared a tool path for use on our CNC machine using a 1/8th inch round nose bit. The bit is too large for this scale, and so not all the detail seen in the 3D model is in turn translated to the wood model. The next step was to cut it out then sand it down in preparation for painting. I primed it and used gold metal and silver paint to give it its final appearance. Wood is not ideal for this type of replica because the of the grain, but the result is still pretty good I think. I tried multiple woods and found the best result with ash. I also tried 3D printing on a Maker Bot but found that the step resolution produced very rough models that were unacceptable. 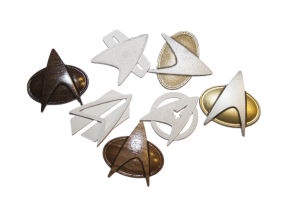 To finish the badges off, they were fitted with a strong rare earth magnet, allowing them to be affixed to clothing. This entry was posted on Wednesday, November 28th, 2012 at 11:36 am	and is filed under Engineering, Projects. You can follow any responses to this entry through the RSS 2.0 feed. You can leave a response, or trackback from your own site. 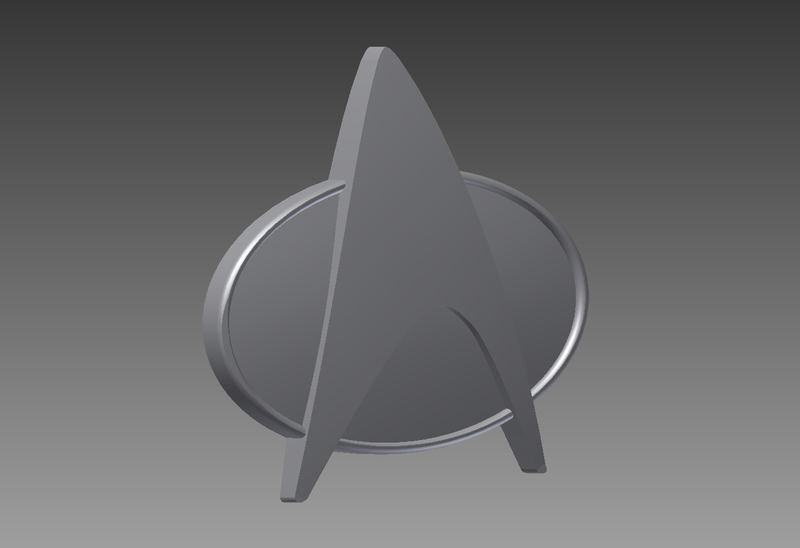 I am with a local Star Trek Chapter fan group and am trying to practice doing 3D Max for a fan film. 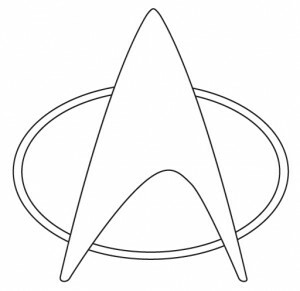 Could you send you send me the illustrator file you created for the star-fleet logo? I am not having much luck creating it in Illustrator. Would appreciate the help! WOW! 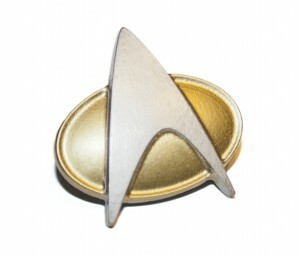 Your STL is by far and away more accurate than thinkgeek’s “screen official” commbadge. 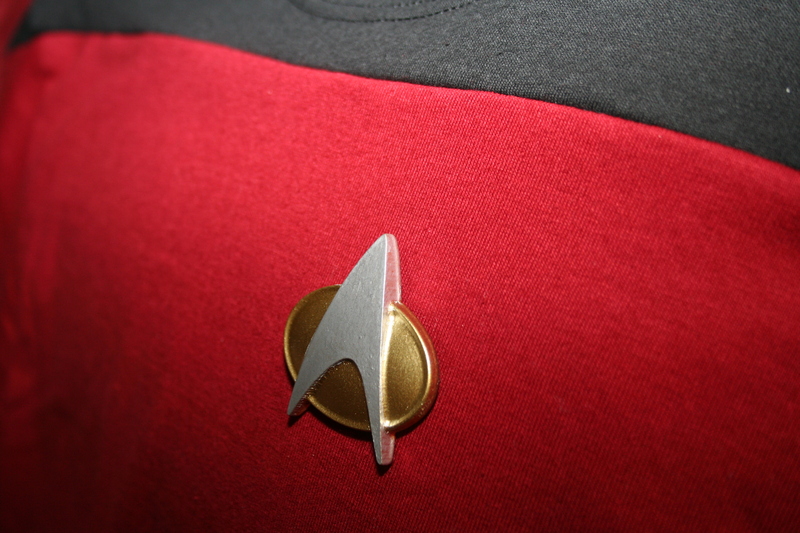 I’m working on a working Bluetooth commbadge for the fun of it, and the Starfleet insignia needs to move, like a button (though I may just make the entire top surface a button, not sure how to engineer it). Looking for reference shots online, I found your work, and I gotta say, it’s impressive. Awesome job! May I have your illustrator file please? Badge for my class, gamified classroom in computer science.